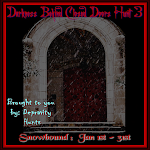 Depravity Hunts: Please tell us which of our hunts you liked best! Due to time constraints, we will likely be organizing fewer hunts next year so we would like some help choosing which ones to bring back. Tell us about your favorite Depravity Hunts, which ones you want to see again, and which ones could have been better and what you would like to see in future hunts going forward. If you have themes you would like to see, tell us about them! We would really appreciate as much detail as possible. Will you be having something for Dec? ?